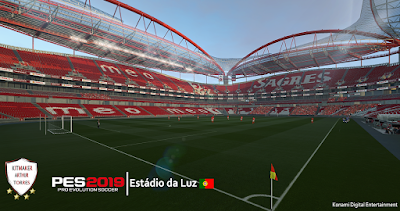 New Stadium Estádio da Luz homeground of S.L. 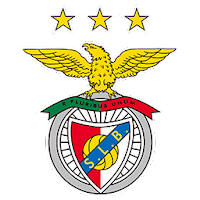 Benfica for Pro Evolution Soccer 2019 PC game by Arthur Torres. PES 2019 Stadium Estádio da Luz by Arthur Torres also compatible with PES 2019 Stadium Pack MjTs-140914 and also Stadium Server. I create a .cpk file for FCP Stadium (Dragão) and i do the same for this one. Both works well! But i cant have the two files simultaneously; the system only recognises one file (position 15/56 of MJTS pack). How can i have the two stadiums working together? If you want both, you need to use stadium server otherwise you won't have both of them since both stadium are using the same ID ( 009 ). I have BMPES (v3.2) installed and (i think is because of it), Sider doesnt work for me. I did everything that is in the vídeo (sider and stadium server), but it doesnt work. But i have created and changed the .cpk file and now i have both stadiums working (Dragão and Luz), at the same time, with no problems! And also with MjTs 60 pack. Thanks for your help! And congratulations for your work and for share it with us!